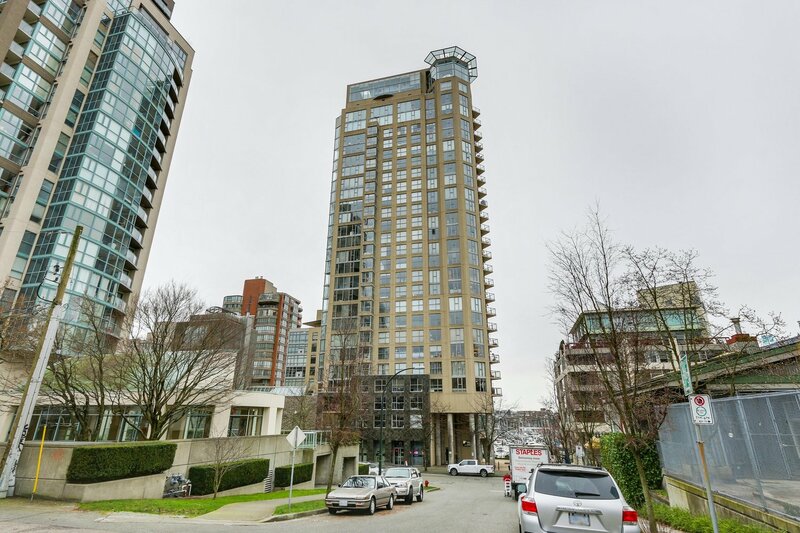 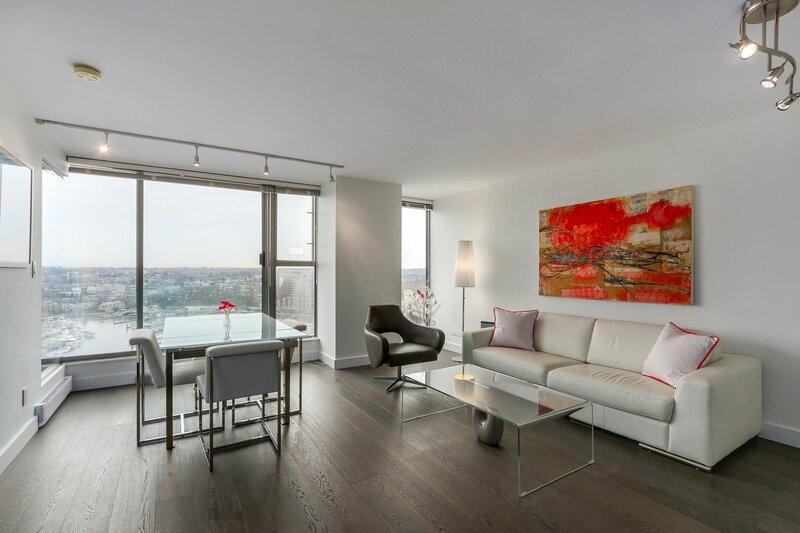 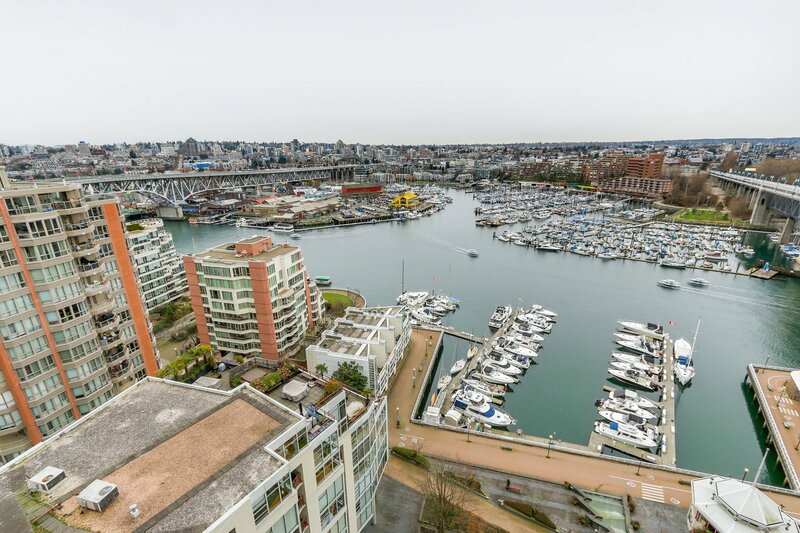 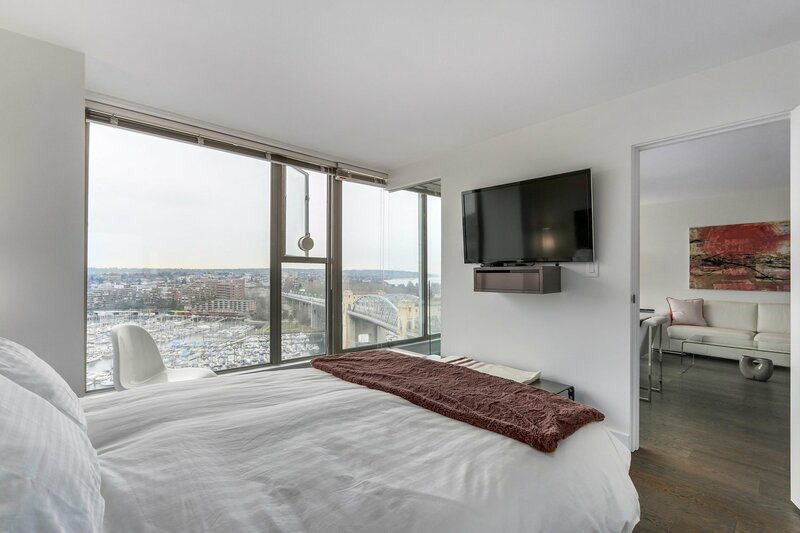 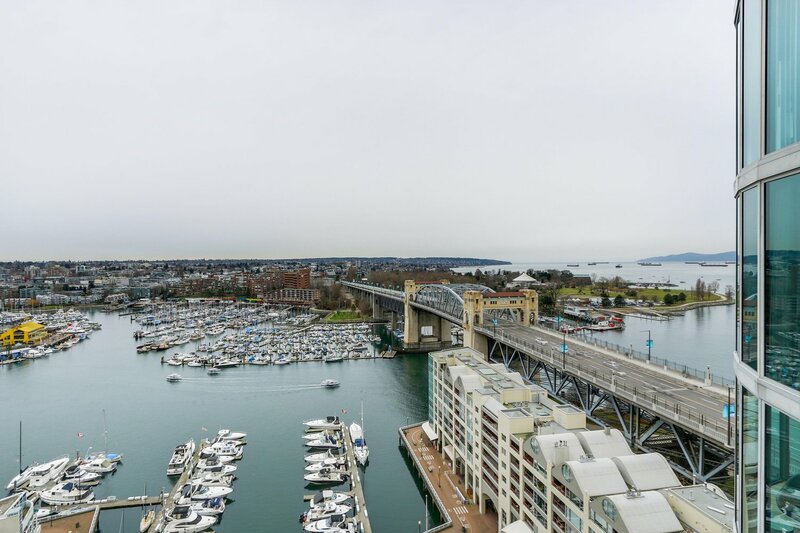 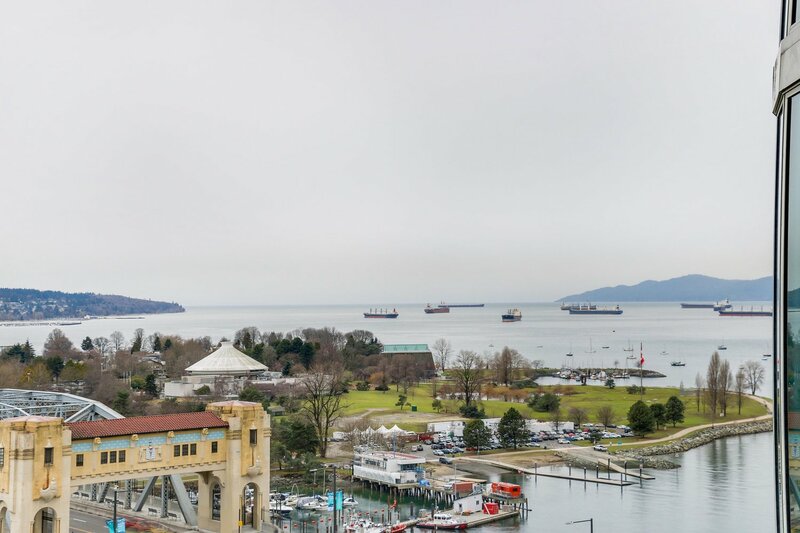 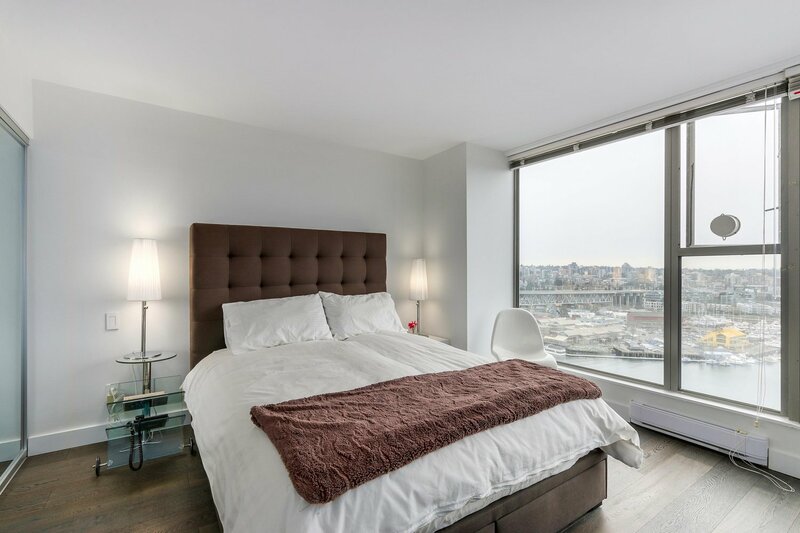 This completely renovated waterfront view property is ideal for the turn-key investor, a pied a terre or the urban dweller. 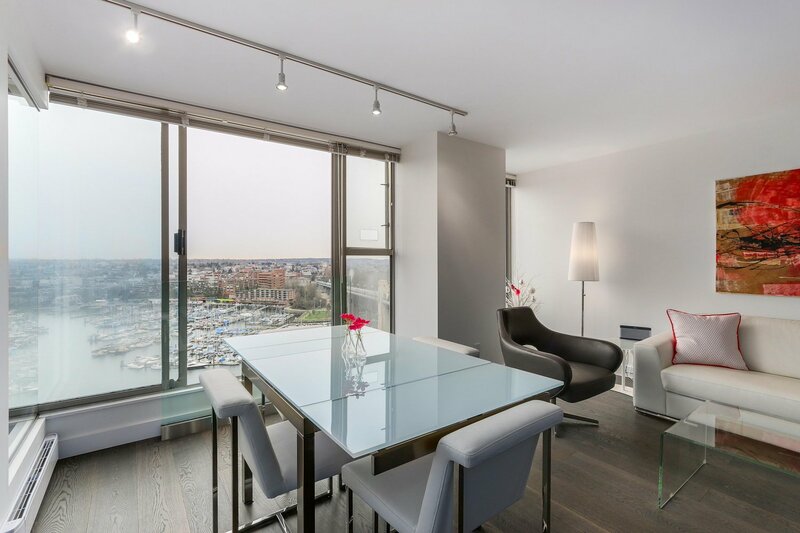 Renovated to perfection and hardly lived in, your eyes are immediately drawn to the endless views as soon as you enter the unit. 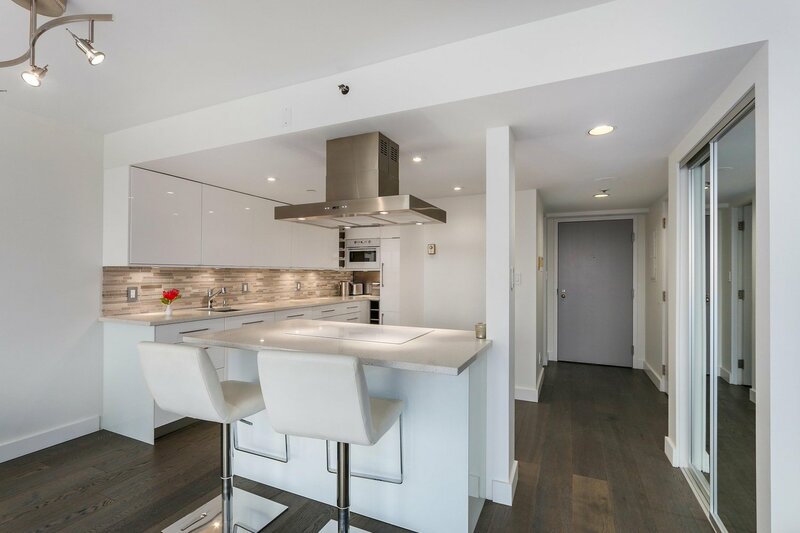 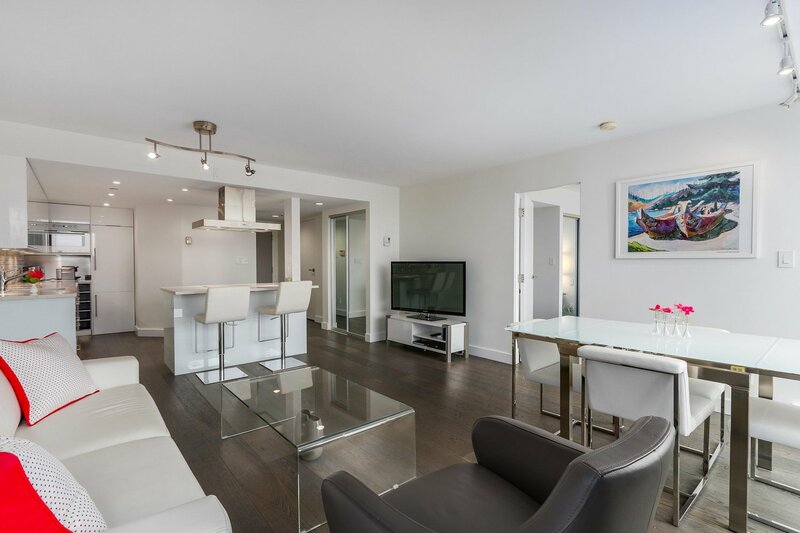 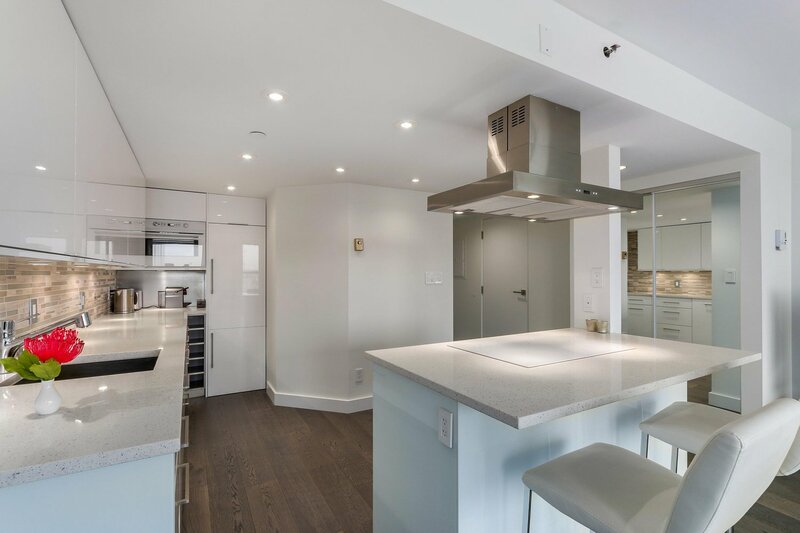 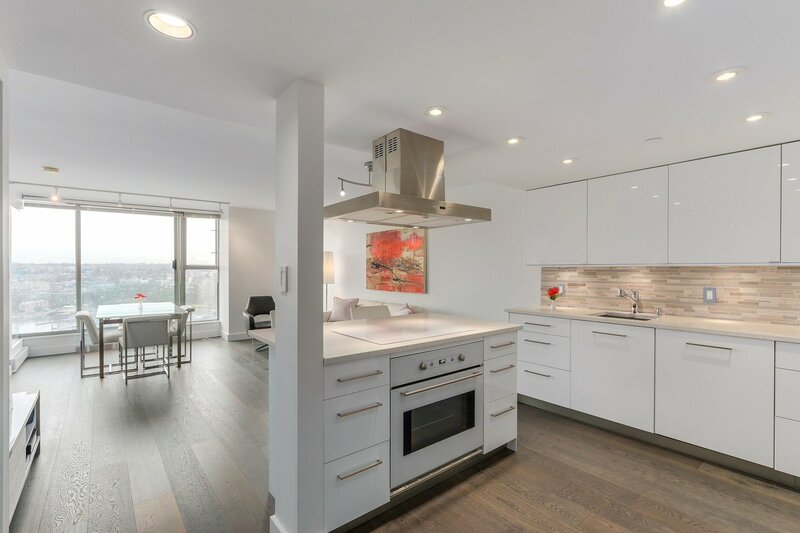 The spacious open plan feels a lot larger than its 800 sqft of living space and the ultra modern kitchen with white quartz counters, large island and hanging s/s hood fan offers the elegance fit for entertaining. 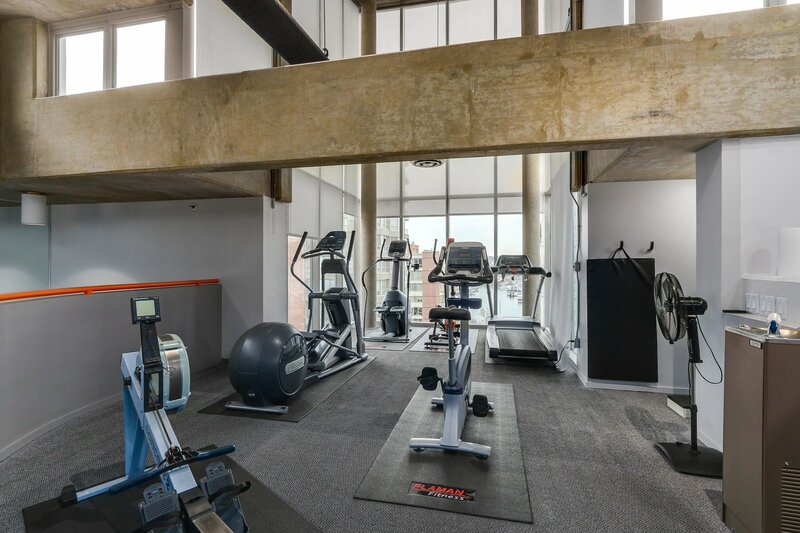 Enjoy wide plank eng. 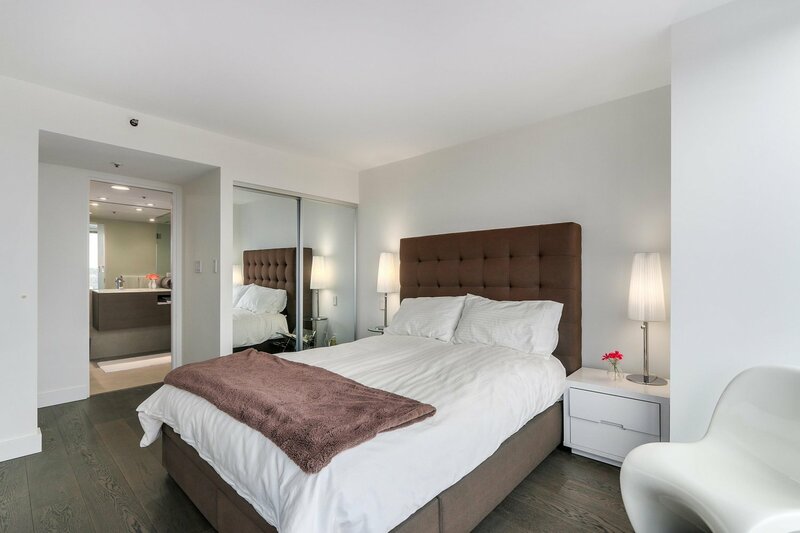 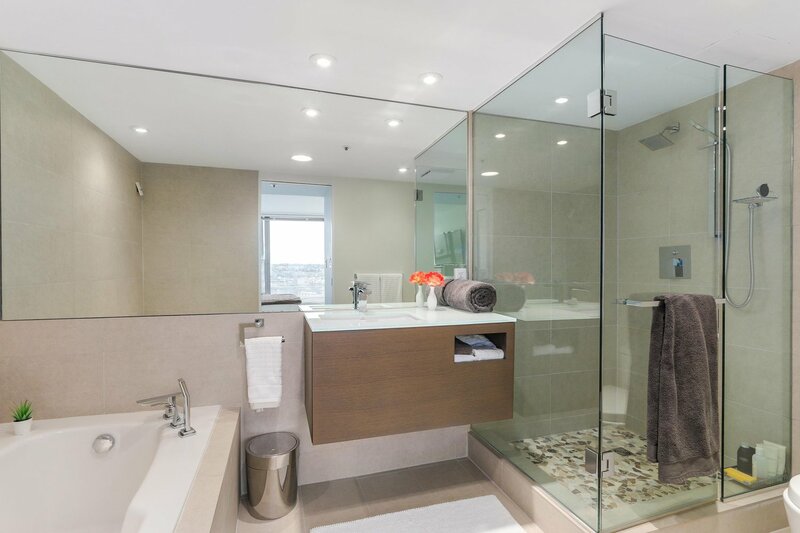 oak flooring throughout the entire unit and the luxurious spa like ensuite will take your breath away with deep soaker tub, separate shower and imported tiles. 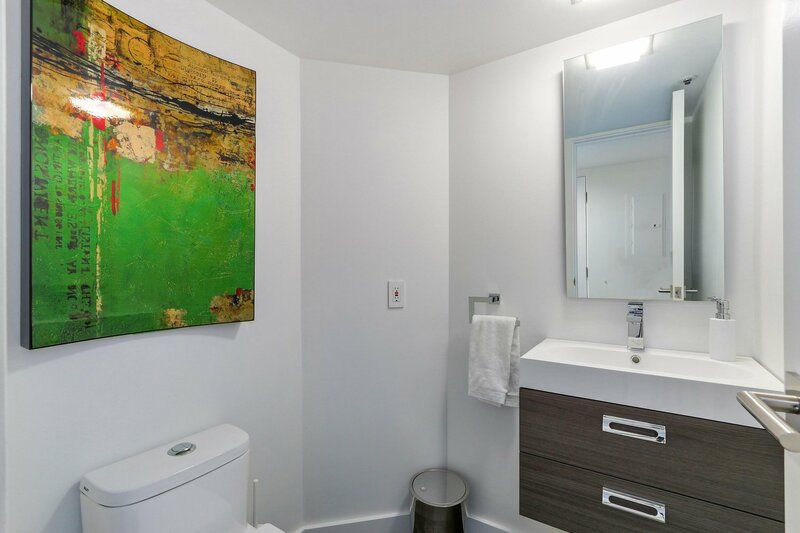 A bonus powder room for guests will keep your ensuite all to yourselves. 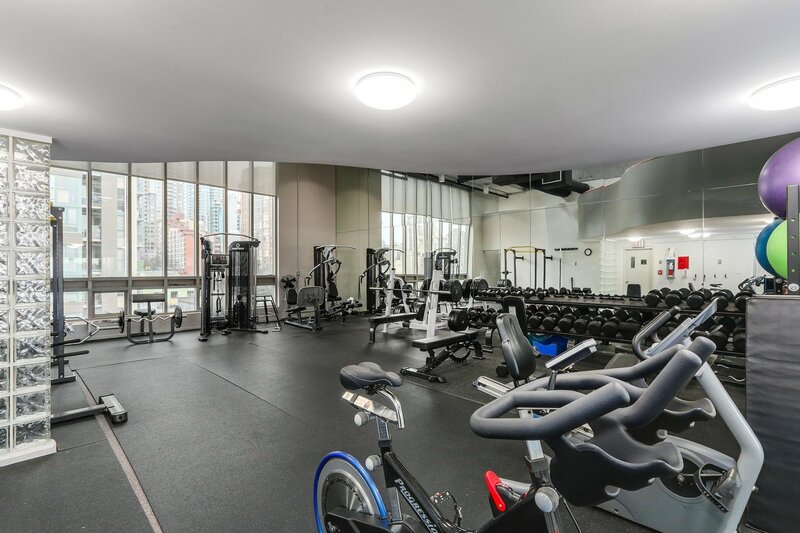 All with 24 hr concierge, glass bottom pool, hot tub, squash court, and gym.